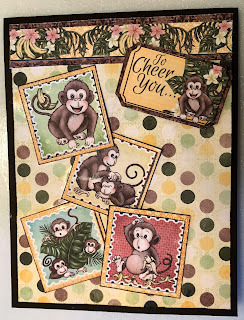 My Creative Life: Just Monkeying Around! This is one of the fun and easy cards I made this week. 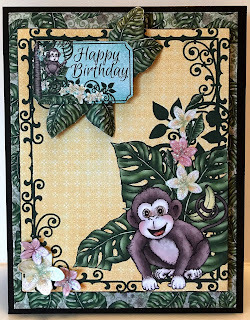 I used the Monkeying Around Paper from Heartfelt Creations to make this card. 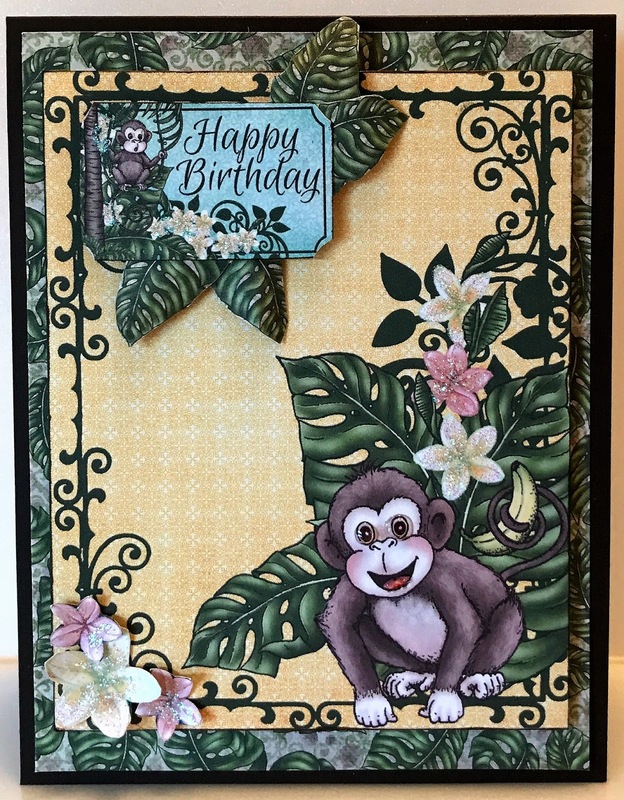 I did a bit of fussy cutting of the palm leaves and flowers from the papers and used those for adding dimension to the card by layering them. I layered the patterned paper and panel to make a 4 1/4" x 5 1/2" card. Of course, I had to put some sparkle on the flowers with a bit glitter glue. The card base is a piece of dark brown cardstock from my personal stash. The card below will make an adorable Get Well card for a child or a young at heart adult. Scissors, glue and the Heartfelt Creations Paper are all that is needed to complete this card. I did use a piece of dark brown cardstock from my personal paper stash for the card base. It is a 4 1/4" x 5 1/2" card. 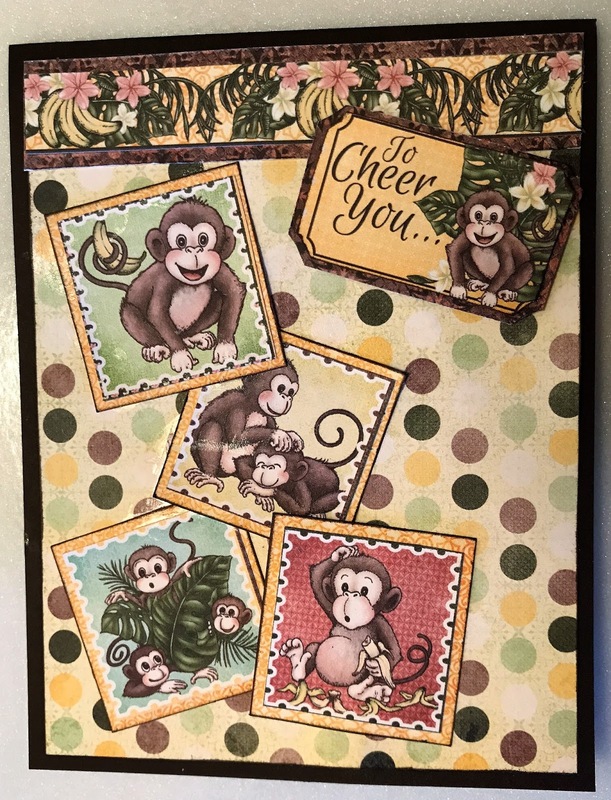 This is a great card project for a beginner card maker. Do these monkeys make you smile? Let me know in the comments below.